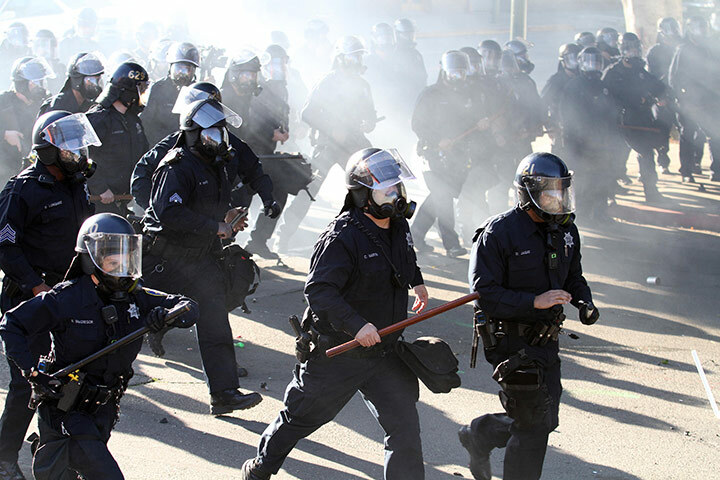 This week on the Best of Flashpoints: we spend the hour with Occupy Oakland. Last Saturday, January 28th Occupy Oakland had planned an event called Move-In Day. Occupy activists & thousands from the community planned to march to a vacant building whose location was never publicized, & they planned to put the building to better use. But the Oakland Police Department in full riot gear & heavily armed brutalized & arrested 400 Occupy activists & their supporters. We’ll feature a series of reports from those who participated in the march including several who were arrested. Also we’ll speak to a union activist about where the Occupy Movement goes from here.